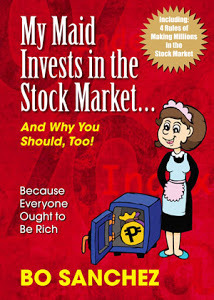 According to my Philippine Stock Market investing mentor, all the members of the Truly Rich Club are now in the advance learning education? (eh di WOW! ), as if we're now taking Masters Course in Investment. One of the bedrock truths of The Greatest Strategy of Investing is that you must invest in a boring way. Specifically, you must buy into boring behemoth companies." 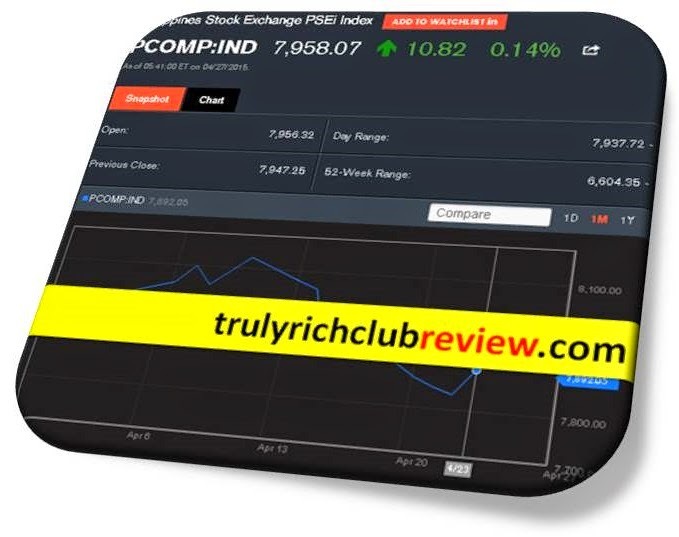 "The stock market is looking to make its return to the 8,000 level in the coming days following a strong finish last week that saw the benchmark index erase huge losses incurred the previous sessions. Analysts still see a sideways trading this week, with local corporate earnings and some upcoming events in the US as possible factors for a rally or another consolidation. “Volatile trading is expected, as first quarter US GDP is slated for release. Several will check on the Federal Open Market Committee’s announcement, with special attention to the timing and degree of an interest rate hike,” said Jason Escartin, investment analyst at F. Yap Securities. “On a more positive light, an improvement in the US economy will be a boon to another dollar-earner segment of our economy - exports. This may at the very least buffer the impact of the expected outflow that a US interest rate hike may trigger,” added Justino Calaycay Jr., analyst at Accord Capital Equities Corp.
For Calaycay, what is important at present is for the Philippines to maintain its present fiscal discipline and continue to hold the international community’s faith and trust in the strides the country has taken in the last half-decade."